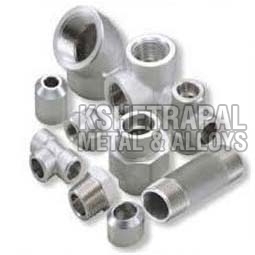 We are bracketed with well-reckoned Suppliers of precision-engineered Forged Fittings. Renowned for its swift functionality and long service life, our Forged Fittings is the best in the market. We provide it in varied specifications and offer individually tailored ones as well. Interested customers can get Forged Fittings customized as per requirement and place bulk orders as well. Description : Our company has made its mark as the distinguished Supplier of Forged Fittings from Mumbai, Maharashtra. Procured from reliable vendors, we offer a wide range of Forged Fittings made from different grades of steel and alloys. To enhance customer satisfaction, we check the Forged Fittings on stringent quality parameters. Nationwide customers can acquire our huge assortment of Forged Fittings at most reasonable rates. They are dealing in stainless steel , mild steel and carbon steel. All grades are available.